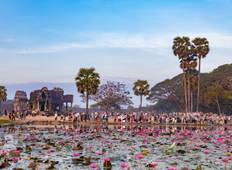 Up to 45% off trips throughout Cambodia, Laos and Vietnam. 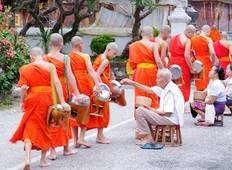 Find 28 Cambodia, Laos and Vietnam tours with impressive discounts, saving you up to $2,000. "Totally amazing. Well organised, friendly guides, small groups of similar ages, varied..."
"What an amazing trip! My husband & I enjoyed every minute of it. Ratha was brilliant,..."
"This was the trip of a lifetime. I’ve taken numerous group tours and this was by..."